Five fish I’ll never forget. No matter ho hard I try. This entry differs from what the other boys have done recently. I’ll put my top five together later on, but for now this is all about five of the most memorable fish I didn’t catch. My apologies for the lack of images… but I guess you’ll understand why. This happened the season before last. I was fishing the Canterbury High Country alone in the heat of summer and the Cicadas were in full swing. I’d caught one fish and lost another already that day on a Cicada pattern, and I had the feeling I was a good chance at catching anything I fished to that day. I approached a run where I’d seen a pretty big fish a few weeks earlier, and my excitement level lifted. As I made my way to the top of the run I was buzzing with nervous energy, and there it was. I spotted a solid looking fish sitting in the prime spot. I had to drop slightly to get into a good casting position, which meant I could no longer see the fish. I sent the cicada into the strike zone and hoped for the best. I didn’t need to wait long… the water erupted as the big brown slashed at the fly and I don’t even think I needed to strike, the fish had probably set the hook itself. A strong fight took place from there and I could tell the fish was a good one. It had plenty of length, and was strong and determined. I got it in really close and was prepering to net it when it rolled on top and I saw its true size for the first and only time. It took off and the line pinged. My tippet hardly ever snaps, but it did on this occasion. I stood there and swore at the heavens for quite some time, until I was eventually able to pull myself back together and carry on for the day. This is going back a few years. I think it was the start of the 2003-2004 season. The location isn’t too far away from where number 5 took place. I had fished upstream all day and was on my way out, walking along the side of the river as I went whenever possible. As I came to a certain pool with a small creek pouring in I spied a fish sitting under the feed line. It looked like a pretty nice fish, and it wasn’t there a few hours earlier. I crept into position and started casting to the fish for what seemed like forever. It stayed where it was more or less, drifting slightly but never moving far. After god knows how many casts my indicator dipped under and I struck. I was most surprised when the line went tight and the mighty fish exploded from the water. My surprise turned into heartbreak when the fish landed on my tippet. In one moment it was all over. I headed for the car thinking about what might have been. This happened near the end of the 2002 – 2003 season, not long after I had shifted to Christchurch from Nelson. I’d returned to Nelson for the wedding of some very good friends. While I was there for a few days I thought I should head out for a bit of fishing, I had some unfinished business that needed taking care of at a river nearby. 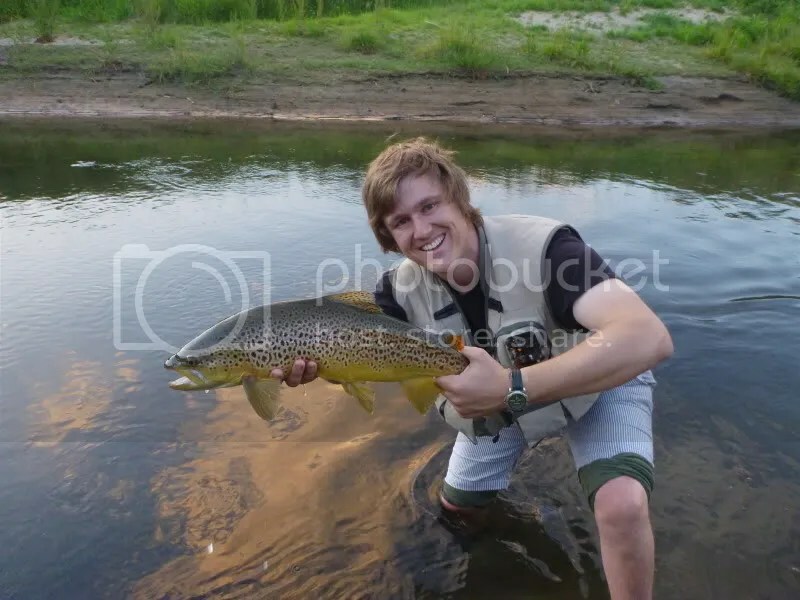 I’d fished the river a few times, and been alerted to a very nice looking fish which was resident in one of the pools by one of my mates who worked in the area. The trouble was that there was a fallen tree sharing the pool with the fish, keeping it safe. As time passed by, the tree swung closer and closer to the bank… until eventually it was out of the way enough that a chance at catching the fish became possible. That day I’d caught four great fish on Cicadas. You couldn’t miss, they were moving a mile for them. I decided to drive up the road to the tree pool, and have a go at the big boy. Nervously I peeked over the edge of the bank trying to see where he was, but the light was poor and the water was covered with glare. I was a bit dejected at not being able to see the fish, but I went down to the water anyway. I worked my way through the pool methodically, and into the fast water at the top. I’d never seen the fish holding this high up, but I fished it anyway. My indicator stopped, and when I struck I was fast into a fish. THE fish! I worked hard to gain control, and just when I thought I had the advantage the fish leapt high out of the water and I watched in slow motion as my nymph tracked towards me through the air. The fish was free. After all of my previous unsuccessful attempts at capturing it, on this day I had come oh so close, yet I had failed again. This was to be the last time I would try to catch this fish, unfortunately the opportunity never again presented itself. This is really going back a long time. I was 14 years old, and I hadn’t been fly fishing all that long. I was with my best mate Sam, and we were fishing our favourite river. 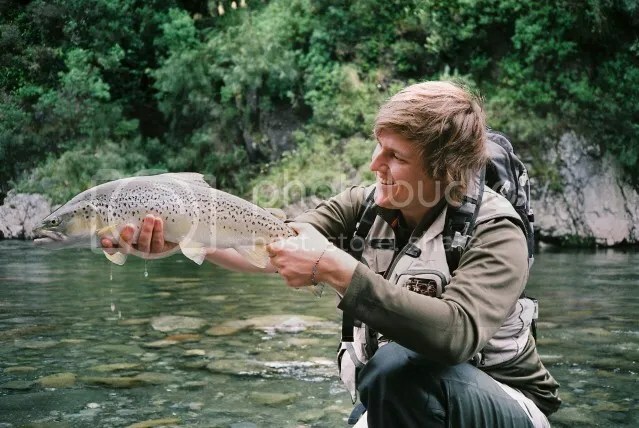 He’d just caught his biggest ever trout, which was in the vicinity of 7 pounds, and in fact I would confidently say it was the biggest trout either of us had ever laid our young eyes on. 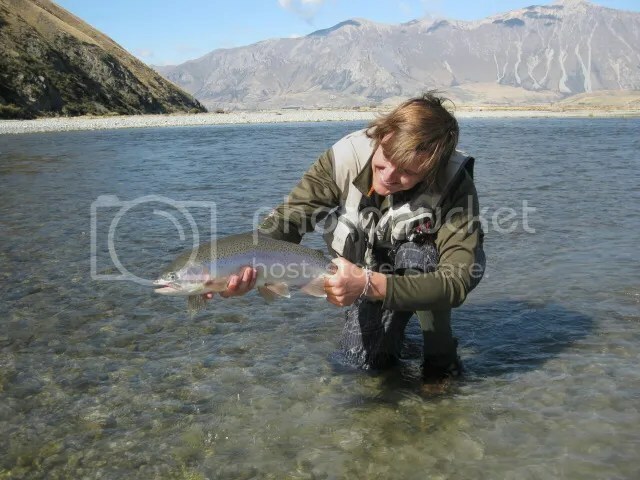 No more than a few hundred metres upstream from where Sam caught his fish from was a mighty pool. It was long, wide, and had plenty of depth in all the right places. It had a nice rapid entering in at the head and a solid rock bottom on the far side providing plenty of stablility. As we neared the top we spotted a line up of about half a dozen fish, all suspended high in the water column and feeding away nicely. To this day I doubt I have ever seen another situation as perfect as this. I cast my basic rig consisting of a Hare and Copper nymph with wool indicator above the top fish, the biggest of them all. It didn’t hesitate to come across to my nymph and took it with all the confidence of the much smaller fish I was so used to catching. I responded to the indicator dipping with a solid lift of my Daiwa fly rod , and the line tightened. 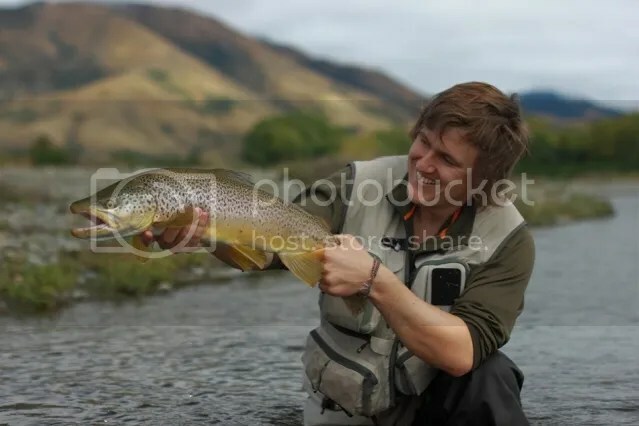 This fish didn’t treact like the fish I was used to catching, infact I have never experienced the same reaction from a hooked fish in all the years that have passed since. This fish did not splash, or panic. It calmly swam across the river, slowly but surely taking line with it as it went, and took up a position on the bottom. I stood there next to Sam on the side of the river in absolute bewilderment, I had no idea what to do. Several minutes passed, the fish shook its head from time to time, and eventually my line snapped. Even though I had minimal experience with fish of any size at that point in my life, I knew I had just been attached to something special. With all the years gone past since then, I realise even more now just how special that fish was. If I was to hook that same fish again today I would be in a far better position to land it than what I was back then, but it was incredibly powerful, and nothing is certain. One thing I can say for sure is that fish is lucky it got away, for if I had landed it as a 14 year old boy, there is no doubt I would have taken it home with me to mount on the wall. This one sits in a similar ball park to number two. It was a bit of a toss up for which sat where in the grand scheme of things… but I decided this one could take the top spot. It was December 2009. A couple of days after Christmas. 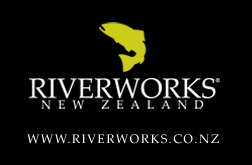 I had arranged to take my mate Paul from Timaru and his Dad with me for a day on the water. The fish were in top condition that season, and I knew that where we were going we would have a decent shot at a good fish. It had rained a bit and the water was running a bit high, with enough colour for it to work in our favour. The day started with a hiss and a roar when Paul caught his first ever fish on a fly. At 8 pounds it wasn’t one to be scoffed at… I made sure I let him know how many years it took for me to catch one that big. Soon after I briefly hooked and lost one which was about the same size as what Paul landed. A short distance upstream I spotted another fish sitting near our edge which Paul insisted I fish to. I fished at this one for quite some time, and every so often I saw it clearly through a window in the water, it was a big fish. Many, many casts, and about seven fly changes later I got a result. I set the hook into a very angry fish. It took off at warp factor 6 across the swollen river and angled upstream, taking all my fly line and a good part of my backing with it. I couldn’t do a whole lot to start with, but eventually I gained some back and my fly line came closer to where it needed to be. This is where it really turned pear shaped. I watched my backing knot as it neared the tip top of my rod, and as the two made contact, time slowed down as I witnessed the knot disintegrate with my own eyes. The trailing fly line flailed off into the current, still attached to my big angry fish. I stoood on the riverbank swearing while Paul and his dad watched in disbelief, before I dropped everything and tore off into the current searching for the trailing line in desperation and anger. I didn’t find the end of my line, which meant I didn’t get my fish. It put somewhat of a dampener on my day. This is the one which takes the cake. All of these fish have caused me to lose sleep at some point, but if I’m completely honest I’d have to say I probably wouldn’t change any of them given the chance. Thats a big call I know, but it wouldn’t be the same if we landed them all, would it? What follows is a list of my favourite fish from the season. Not necessarily the biggest or the prettiest, but the most satisfying for one reason or another. In fact it has surprised me while constructing this list how many of the bigger fish have been left off. They’re certainly satisfying and look great in photos. But these are the fish I’ll remember. 5) Kicking off the list was a very solid rainbow taken on a tough day. To be honest any one of a number of fish could have filled this spot. The fish were feeding selectively on swimming mayflies and couldn’t be tempted by anything else. Once hooked this fish proceeded to take me for the ride of my life through the pool. There aren’t many stronger fish in the rivers than a football shaped rainbow. 4) This was a brown taken blind in a small stream. It was a strong fish and good looking to boot. Andrew snapped a great shot of it. 3) This fish was an unlikely conquest. Al and I left home at midday and rocked up to the river feeling relaxed. In a riffle at the tailout of the run I spotted a smudge moving upstream. I figure I had spooked it, but covered it anyway. It was with more than a little surprise that I watched a snout poke out of the water to take my klinkhammer. What followed was a very determined fight from a fit fish. Eventually Al secured it in the net and proceeded to snap a photo with a Canon P+S camera from the 1980s that he’d acquired for $2 that morning. 2) I was tossing up between these last two. My number two was also my biggest fish for the season, and my biggest rainbow ever by over a pound. It was a seriously good fish taken in atrocious conditions. It fought hard, if unspectacularly and I was unbelievably pleased to have caught it. 1)But my number 1 had the whole package. It was the total experience. Andrew S and I set off after work and headed north. By the time we pulled up at the stream I’d had 1/2 dozen beers (don’t worry, he was driving) and was in a merry mood. The weather was superb so we donned our jandals and set out for a streamside stroll. The first few fish were spooked in glorious fashion…followed by more…and more. It wasn’t until we came to a bend in the stream and spotted a fish rising 20metres further up that our hope grew. I was on point, so assumed the position. I didn’t dare approach too much more given the behaviour of the previous fish so it was going to be a long cast. The alcohol settled the nerves and the cast was perfect. I thoroughly enjoy the casting side of fly fishing, so a fish caught with a special cast is always that little bit more valuable to me. It’s vividly seared in my mind the sight of the golden fish rising vertically to intercept my fly. As I set the hook it absolutely erupted, tearing off upstream at some pace. In the water it had looked like a nice fish, maybe around 4lbs. After an absurdly strong fight, during which the pitfalls of wearing jandals fishing became apparent to Andrew and I (Andrew, I believe, still has the scars to prove it), a rather bigger than expected fish came to the net. The whole experience of catching this fish was topped off by its appearance. It was short, but incredibly round and heavy. In absolutely perfect condition with substantial giraffe like spots dotting its body. For me it was the fish of the season and one of the most satisfying and enjoyable fish I’ve ever caught.